A “cooling off” Contract is a conditional Contract where only the purchaser (buyer) has a period of 5 business days during which period he can change his mind about the purchase. You, as the vendor will not be able to change your mind about selling the property during these 5 business days. You therefore need to be absolutely happy with the selling price you accept for the property if you enter into a “cooling off” Contract. A cooling off Contract is usually exchanged by the selling agent. At the time of the exchange the purchaser may request that the standard cooling off period be extended from 5 to up to 10 business days. If you agree to give the purchaser any extra cooling off days, the agent will ask you to sign a document extending the cooling off period. The purchaser is required to pay the agreed deposit (usually 10%) to secure the property. The purchaser will forfeit (lose) 0.25% of the purchase price if he decides not to proceed with the purchase beyond the cooling off period. If this occurs you will be entitled to be paid 0.25% of the purchase price. The balance of the deposit is refunded to the purchaser. Please do not allow the agent to exchange the Contract with payment of a 0.25% deposit. During the cooling off period the purchaser should obtain an unconditional loan approval. The purchaser will also arrange building and pest inspections. If you are selling a strata property, the purchaser will arrange an inspection of the strata records of the Owners Corporation. If any problems arise from these inspections, the purchaser’s representative will contact us. We will immediately obtain your instructions and give you advice in relation to any such issue. No amendments can be made to the Contract after it has been exchanged. Also during the cooling off period the purchaser may also ask you for an extension of the cooling off period, usually because he has been unable to obtain an unconditional loan approval within the 5 business days. If the purchaser requests an extension of the cooling off period, we will ask you to sign a notice granting the extension. There is no obligation on a vendor to grant the extension. The Contract will not become unconditional until the cooling off period has expired. The purchaser must pay the balance of the deposit (usually either 10% or 5% of the sale price) to the agent prior to the expiry of the cooling off period. Alternatively, your selling agent may request we issue a Contract to the purchaser on the basis that when the purchaser is ready to exchange he will have his representative provide us with a Certificate (known as a Section 66W Certificate) in which he waives the cooling off period. The purchaser will arrange his building and pest inspections and obtain a loan approval before he enters into an unconditional Contract. Whilst you are waiting for the purchaser to exchange the Contract with a Section 66W Certificate you have no obligation to sell the property to the purchaser nor does the purchaser have any obligation to purchase the property from you. 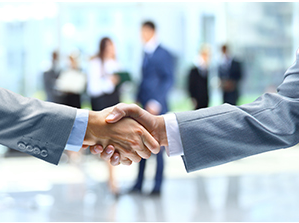 We will arrange for you to sign the original Contract prior to the exchange of the Contract. We will explain the Contract to you and answer any questions you may have in relation to the sale. The purchaser will then pay the agreed deposit. We will telephone the agent and ask him to confirm in writing that the deposit has been paid. The Contract can then be exchanged and once this has occurred both you and the purchaser will be “locked in” to the sale and purchase.